I will say it again! If I only had $200,000 ……. Let’s break that down. If it is $200,000 for a 2 hour flight, then that means it is $100,000 per hour, rounding up makes it $1,666.67 per minute and $27.78 per second. 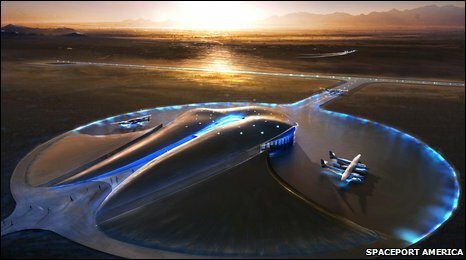 Check out this picture of the proposed spaceport (airport for space planes) to be built in New Mexico.